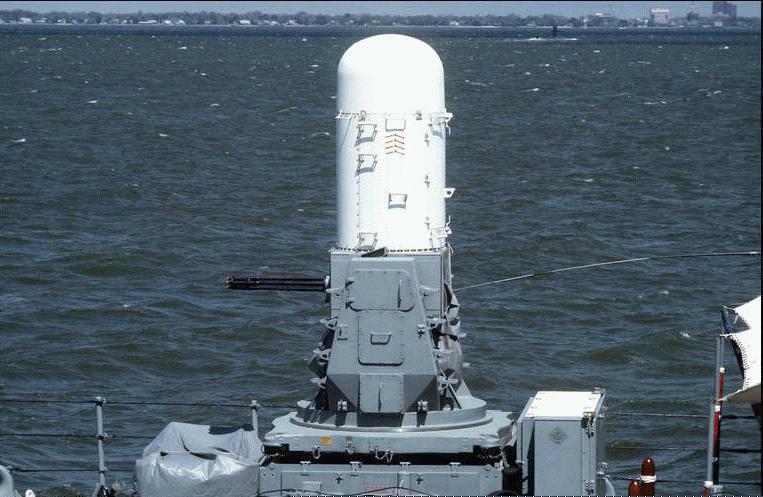 The MK 15 Phalanx Close-In Weapons System (CIWS - pronounced "sea-whiz") is a fast-reaction, rapid-fire 20-millimeter gun system that provides US Navy ships with a terminal defense against anti-ship missiles that have penetrated other fleet defenses. 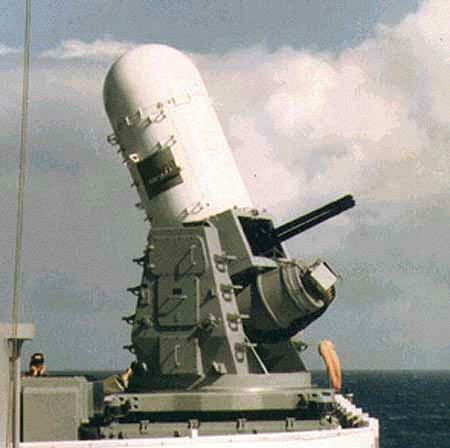 Designed to engage anti-ship cruise missiles and fixed-wing aircraft at short range, Phalanx automatically engages functions usually performed by separate, independent systems such as search, detection, threat evaluation, acquisition, track, firing, target destruction, kill assessment and cease fire. Phalanx underwent operational tests and evaluation onboard USS Bigelow in 1977, and exceeded maintenance and reliability specifications. 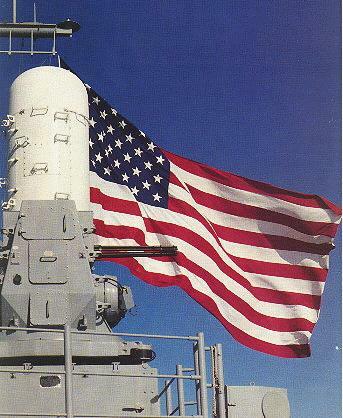 Phalanx production started in 1978 with orders for 23 USN and 14 Foreign Military Sales (FMS) systems. Phalanx is a point-defense, total-weapon system consisting of two 20mm gun mounts that provide a terminal defense against incoming air targets. 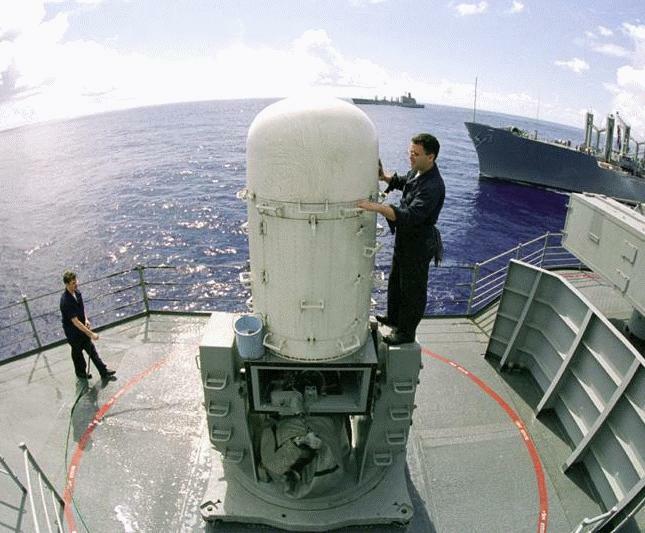 CIWS, without assistance from other shipboard systems, will automatically engage incoming anti-ship missiles and high-speed, low-level aircraft that have penetrated the ship primary defense envelope. As a unitized system, CIWS automatically performs search, detecting, tracking, threat evaluation, firing, and kill assessments of targets while providing for manual override. Each gun mount houses a fire control assembly and a gun subsystem. The fire control assembly is composed of a search radar for surveillance and detection of hostile targets and a track radar for aiming the gun while tracking a target. 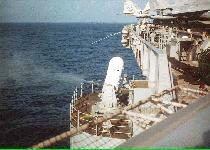 The unique closed-loop fire control system that tracks both the incoming target and the stream of outgoing projectiles (by monitoring their incoming noise signature) gives CIWS the capability to correct its aim to hit fast-moving targets, including ASMs. The gun subsystem employs a gatling gun consisting of a rotating cluster of six barrels. 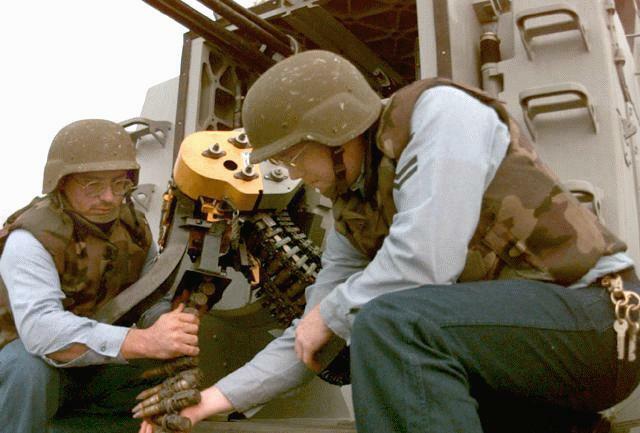 The gatling gun fires a 20mm subcaliber sabot projectile using a heavy-metal (either tungsten or depleted uranium) 15mm penetrator surrounded by a plastic sabot and a light-weight metal pusher. The gatling gun fires 20mm ammunition at either 3,000 or 4,500 rounds-per-minute with a burst length of continuous, 60, or 100 rounds. 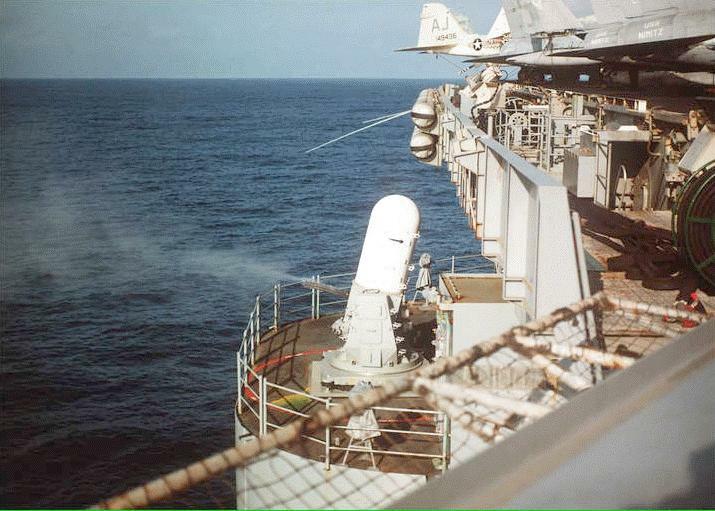 CIWS has been a mainstay self defense system aboard nearly every class of ship since the late 70�s. It was originally designed to defeat low altitude antiship cruise missiles (ASCMs) and was called the block 0. As antiship cruise missiles became more complex in maneuvers and ability to be detected, and warfare areas moved from open ocean to littoral environments, CIWS has evolved to meet the threat. 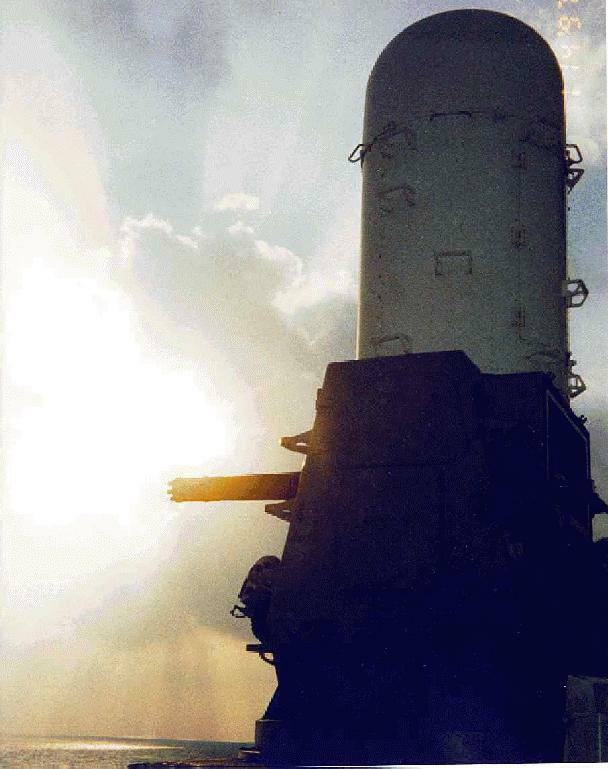 Block 1 incorporated a new search antenna to detect high altitude missiles, improved search sensitivity, increased the ammunition available for firing by 50 percent, a pneumatic gun drive which increased the firing rate to 4500 rounds per minute, and started using tungsten ammunition as well as depleted uranium. Block I improvements provide increased elevation coverage, larger magazine space for increased round capacity, a variable and higher gun fire rate, and improved radar and processing capabilities. 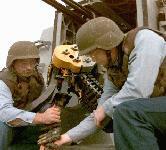 Block 1A incorporated a new High Order Language Computer (HOLC) to provide more processing power over the obsolete general purpose digital computer, improved fire control algorithms to counter maneuvering targets, search multiple weapons coordination to better manage engagements, and an end-to-end testing function to better determine system functionality. Block 1B Phalanx Surface Mode (PSUM) incorporates a side mounted Forward Looking Infrared Radar (FLIR) which enables CIWS to engage low slow or hovering aircraft and surface craft. 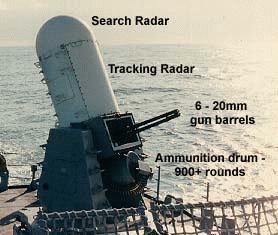 Additionally, the FLIR assists the radar in engaging some ASCM�s bringing a greater chance of ship survivability. Block 1B uses a thermal imager Automatic Acquisition Video Tracker (AAVT) and stablilization system that provide surface mode and electro-optic (EO) angle track. These Block 1B enhancements will allow day/night detection capability and enable the CIWS to engage small surface targets, slow-moving air targets, and helicopters. Baseline 2C improvements provide an integrated multi-weapon operations capability. During integrated operations, the command system controls CIWS sensors, target reports, mode employment, and doctrine. The sensors are utilized to provide 360 degree search and track coverage, while providing track data to, and receiving designations from, the Command system. 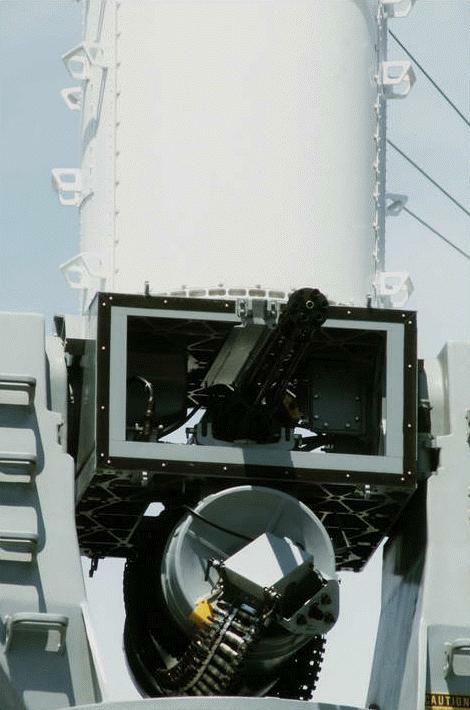 This CIWS installation includes a conversion kit for each weapon group to facilitate ease and safety of maintenance; the "maintenance enclosure" kit installs the below-deck equipment for a gun mount in a prefabricated enclosure with the mount located above it. Depleted Uranium or Tungsten sub-caliber penetrator.